AOC Community Media provides production tools, education, distribution, support, and networking opportunities for community members so they can create and produce their own noncommercial media. 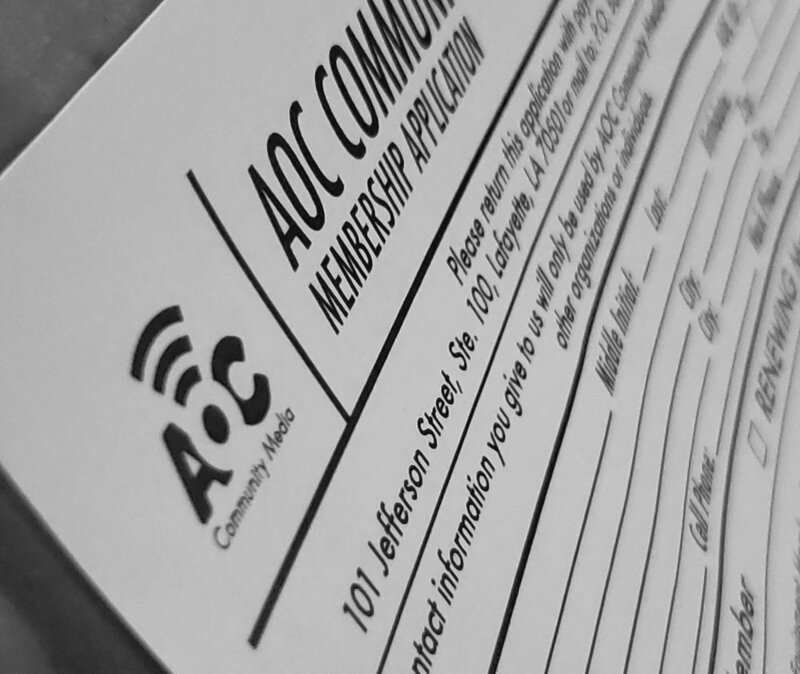 Helping members of our community to share knowledge, information, opinions, and more is AOC's purpose. We are Lafayette's most local and locally focused, noncommercial media. You can put your voice here and AOC will help the Community and the world hear it. Get involved with us year-round by volunteering with AOC! Share your knowledge or skill by leading a class, workshop or demonstration at AOC! Memberships range from $25 - $60/yr. Cajun Chili Fest this weekend Public is invited to join us this Saturday at Blackham Coliseum! Details of this event will be published soon. Stay tuned to our website and social media pages for more updates! Register Now for the AOC Couch Potato 10k! Proud to be a Media Sponsor of Festival International de Louisiana! Join our Volunteer Festival International Film Crew! All the cool kids are wearing AOC and making media in their own voices!